After the TREAD Act was mandated in 2007, all vehicles manufactured in the United States beginning in 2008, must be installed with direct or indirect TPMS systems. The Toyota Camry was installed with an indirect TPMS system from 2004 to February 2006, then switched to a direct TPMS system in February 2006. 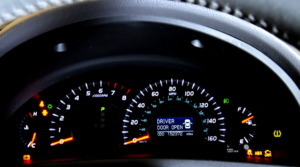 When services are performed, such as a tire change or TPMS sensor replacement, in one or more tires of a Toyota Camry, a TPMS relearn must be performed to transfer the sensor information to the vehicle’s ECU. 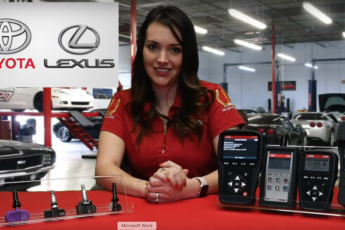 All service kits and aftermarket TPMS sensor options for the Toyota Camry can be found in your VT56, VT55, and VT36 TPMS Tools in “Service TPMS”. Some Toyota models have a “SET” or “TPMS RESET” button, which is located below the steering wheel or under the glovebox. When the button is pressed, the system tries to locate the sensor ID’s that are already stored. The “SET button” can be used when performing a tire rotation that has different tire pressures in the front and rear, changing or adjusting the tire pressure, or changing tire size, or when tires are replaced. 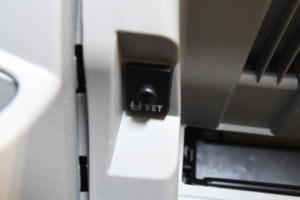 If the “SET” button is pushed after new sensor IDs are introduced and before a relearn is performed, the ECU must be unlocked in order for the relearn procedure to work correctly. Some advanced TPMS scan tools have the capability to unlock the ECU. 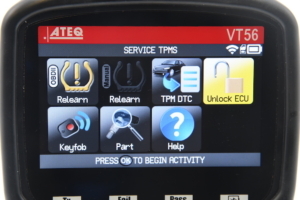 If your TPMS scan tool has the “UNLOCK ECU” option, the relearn procedure can be properly performed. When selecting the Make, Model and Year of your vehicle, you will notice there are two options for the Year from 2006 to 2011. Toyota Camry’s, which were sold in the USA, was originally manufactured in USA or Japan. 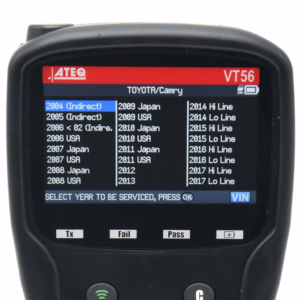 It is very important to select the correct selection of “2008 USA” or “2008 JAPAN” with the VT56, Quickset, or your diagnostic scan tool since there is a slight difference in the way the TPMS information is transferred to the vehicle’s ECU. To find out whether the Toyota Camry you are working with was manufactured in Japan or USA, take a look at the vehicle’s VIN barcode, particularly the first character of the VIN. Does your vehicle come with a tire or donut? If there is a tire in the trunk, then the tire must be fitted with a TPMS sensor and must be filled to placard pressure. 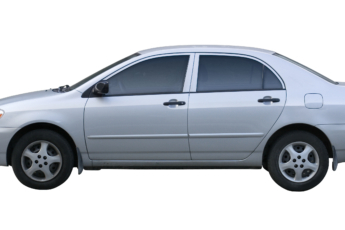 If there is no tire in the trunk, you can usually tell if it came manufactured by the size of the trunk. If it looks as if a full tire can fit in the trunk, it most likely came manufactured with a spare tire. If not, then it may only require a donut, which does not require a TPMS sensor. 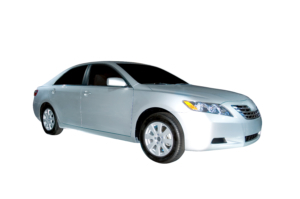 Toyota Camry began including TPMS systems in 2004. At first, they used the indirect TPMS system which does not have sensors in the tire. Indirect TPMS systems communicate tire pressure through the ABS system. In February 2006, Toyota switched to a direct TPMS system, where the tire pressure is communicated using TPMS sensors. From 2014 through 2019, the Toyota Camry offers low line and high line TPMS systems. It is important to know which system you are working with when resetting the TPMS system. If an incorrect sensor is installed such as a low line TPMS sensor to a high line TPMS system vehicle, the system will not function to its full capacity and may show 0 PSI on the high-line system’s dash. So what are the differences between a low line and high line TPMS system? A low line TPMS system indicates low tire pressure with the TPMS light only. You must use a tire pressure gauge or TPMS tool to read the tire pressure of the tire. When the tire pressure underinflated by 25%, the light will stay on until it filled with the proper amount of air in the tire. If there is a system malfunction, the light will flash for one minute when starting your vehicle. 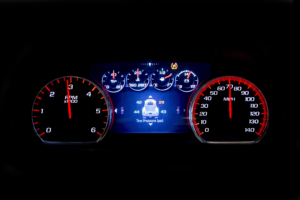 A high line TPMS system displays the tire pressure of each tire on the dash or instrument display. If there is a sensor malfunction, the TPMS sensor will report the location of the sensor in real time.